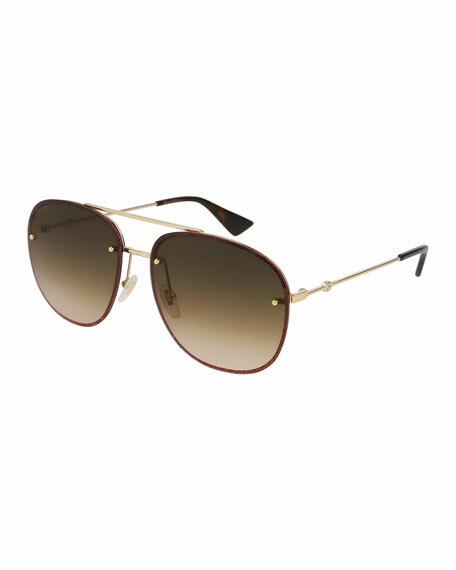 Gucci metal aviator sunglasses with glittered frame front. Gradient lenses; logo embossed at right. Double nose bridge with nose pads. Capped ear pieces with bee graphics. For in-store inquiries, use sku #2339215.